Apolipoprotein B100 (apoB100) is a protein that plays a role in moving cholesterol around your body. It is a form of low density lipoprotein (LDL). Mutations (changes) in apoB100 can cause a condition called familial hypercholesterolemia. This is a form of high cholesterol that is passed down in families (inherited). 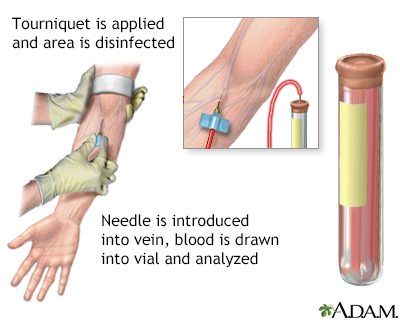 This article discusses the test used to measure the level of apoB100 in the blood. Your health care provider may tell you not to eat or drink anything for 4 to 6 hours before the test. Most often, this test is done to help determine the cause or specific type of high blood cholesterol. It is not clear whether the information helps improve treatment. Because of this, most health insurance companies DO NOT pay for the test. 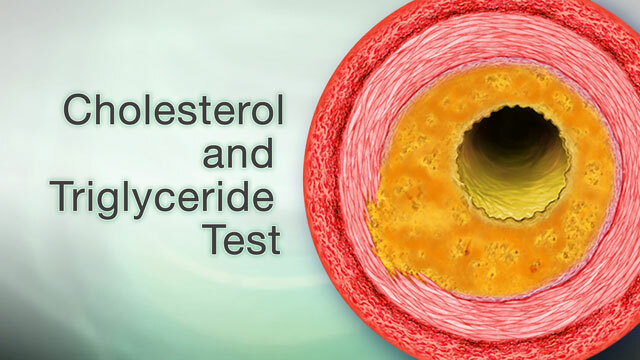 If you DO NOT have a diagnosis of high cholesterol or heart disease, this test may not be recommended for you. The normal range is about 50 to 150 mg/dL. An abnormal result may mean you have high lipid (fat) levels in your blood. A medical term for this is hyperlipidemia. Other disorders that may be associated with high apoB100 levels include atherosclerotic vascular disease such as angina pectoris (chest pain that occurs with activity or stress) and heart attack. Genest J, Libby P. Lipoprotein disorders and cardiovascular disease. In: Bonow RO, Mann DL, Zipes DP, Libby P, Braunwald E, eds. Braunwald's Heart Disease: A Textbook of Cardiovascular Medicine. 10th ed. Philadelphia, PA: Elsevier Saunders; 2015:chap 45. Robinson JG. What is the role of advanced lipoprotein analysis in practice? J Am Coll Cardiol. 2012;60(25):2607-2615. PMID: 23257303 www.ncbi.nlm.nih.gov/pubmed/23257303. Semenkovich CF. Disorders of lipid metabolism. In: Goldman L, Schafer AI, eds. Goldman's Cecil Medicine. 25th ed. Philadelphia, PA: Elsevier Saunders; 2016:chap 206.